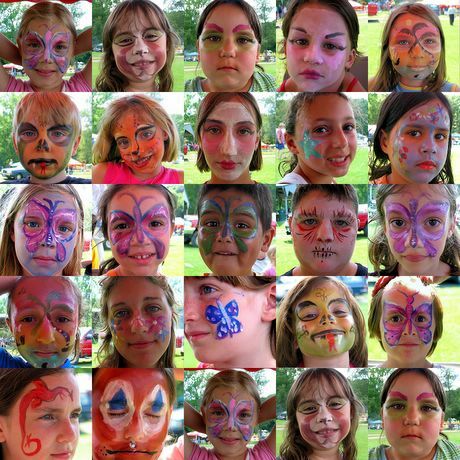 What is it about face painting that children love it so much? I spent five hours volunteering at an event today and the children never stopped coming. I forgot my mirror so used the camera to show them how they looked - and conveniently got my blog post for the day. The event, by the way, was the Bike New York Harlem Valley Rail Ride - you could ride anywhere from 22 to 100 miles. It was 90 degrees and very humid today, but almost everyone arrived at the final event in good spirits. 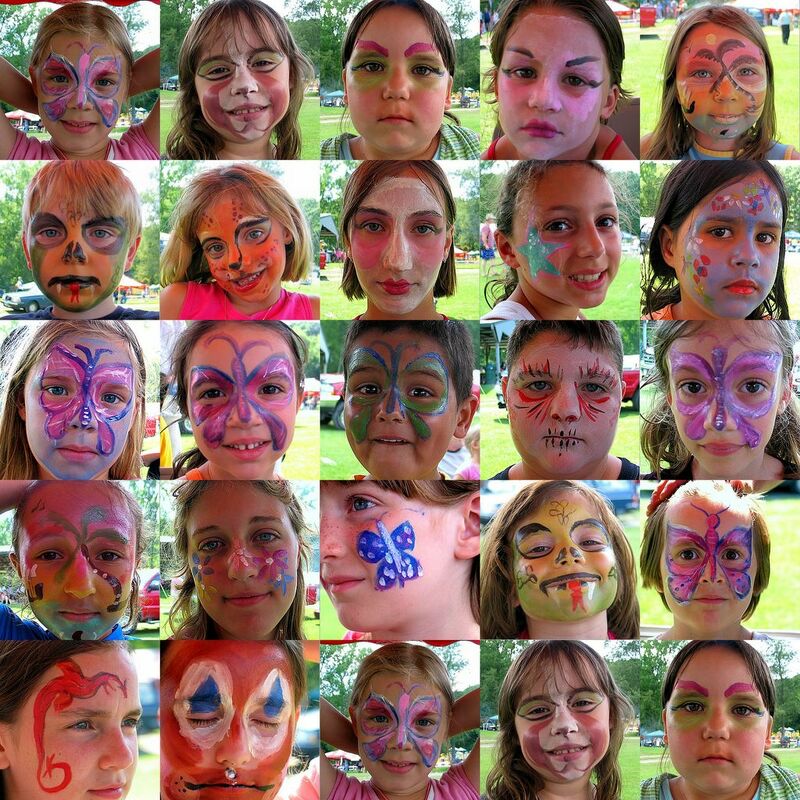 There were peole giving massages, serving pulled pork and corn on the cob and, of course, face painting! This face painting "chess board" is very interesting. This way of presenting a portrait is very nice! How did you did it? Pedro, I did it in Picasa - there's a photo collage function - it's quite easy! Just "hold" all the photos yu want to include (edit them as you wish first), and press "collage." That's it! Clever idea and great collage with beautiful, smiling faces! my daughter also LOVES to have her face painted.. actually, I accidentally discovered that the paint I was using was a great sunscreen.. she burned everywhere that was NOT covered.. she spent the rest of that summer painted!